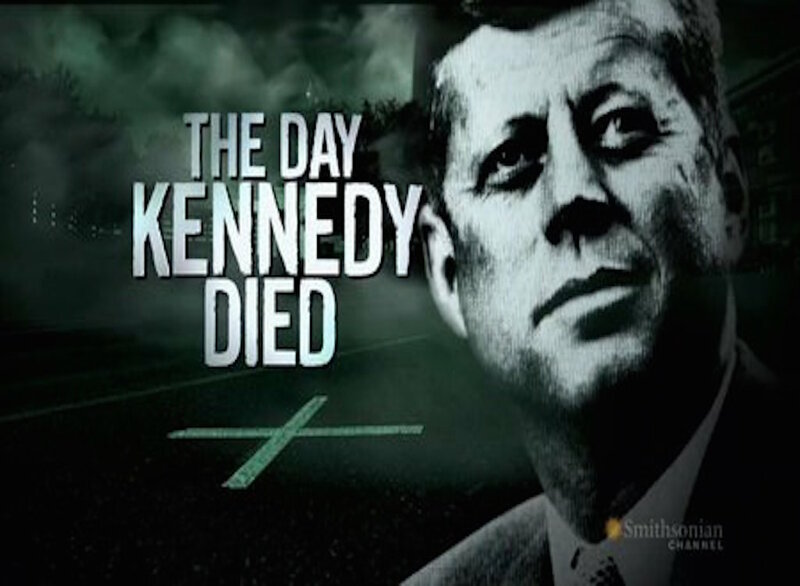 Filmed on location in Dallas and Washington D.C., The Day Kennedy Died is an exclusive special commemorating the 50th anniversary of JFK’s assassination. Those who were there share their first-hand account of the final hours immediately leading up to his untimely death. From the journalist who was with the Kennedy family all day, to the nurse who checked his vital signs at the hospital, The Day Kennedy Died features exclusive never-before-seen interviews and powerful, rare archive footage. It casts new light on the tragic events of that fateful day in 1963. Malcolm & Nainita (M+N) created an original score that brilliantly supports the film without ever overwhelming it and takes the viewer on a compelling and engaging dramatic journey. very finely structured, wrapping itself around every spoken phrase, binding with the film seamlessly. One of the main objectives of the music was to create growing waves of tension and drama that underpins the entire film including all the dialogue. Hence, there is only 3 minutes of musical silence overall. Indeed, carefully selecting where NOT to use music helps make those pauses more poignant such as the moment Lee Harvey Oswald is shot. A conscious decision was made to write the score in film sequence and chronologically, without any prior viewing or knowledge of the events. Writing purely to picture as the scenes unfolded, allowed for a fresh instinctive response to the scenes, so that the viewer would experience the events in a visceral way. The score’s intention was also to treat the people in the archive, along with the interviewees, almost as though they are fictional characters. Examples include, Oswald’s own menacing brass and sound design based motifs. M+N tried to avoid using clichéd looped groove based beds or bland ambient tension drones, instead developing growing dynamic pieces that are crafted around the dialogue phrases and hit points. The music still maintains an ebb and flow helped by constant key and tempo changes, managing to keep the viewer on the edge of their seat. In the same way the film has a timeline structured over 24 hour period, the score was carefully mapped out and structured with regard to keys and tempos used to portray a dynamic journey. There are several poignant themes that recur throughout the film such as the delicately handled shocking autopsy scene, the coffin being brought back to the white house, scenes that were portrayed with a respective starkness and simple tenderness, or the swearing in of Lyndon B Johnson into office. They give the film a heart, culminating in a moving theme over the end funeral scene. – the use of patriotic American brass, flutes and strings for the few moments of lightness, such as the film’s opening and Kennedy’s arrival at Dallas airport. The use of soft jazz vibraphones over Jackie entering the convention. – touches of jazz (piano, vibes and drum & brush work inspired by Brubeck & jazz popular at that time) in the scenes for example where Buell Fraser is driving in his car, Clint Hill (the SS Agent) running jumping onto the car when Kennedy is shot or at 9 mins in, the Kennedy’s driving to Dallas Airport. M+N shaped the score around the edit at great speed, writing and delivering cues for rough sequences every 3-4 days. Scoring a huge amount of music deftly and efficiently, they accommodated the demands of a rapidly evolving edit responding to very tight deadlines. In addition, reworking the music to two different film versions and a new longer cuts of the film (52mins to 92mins) were met with a very fast turn around. This all results in a unique, rich, textured score that gives the film an invaluable, fresh voice in relaying the familiar momentous historical events as well as straddling both a contemporary style and at the same time sympathetic with the period. The score was crucial and successful in unraveling the development of the film’s events. All in all, M+N’s score makes an invaluable contribution, and hugely enhances the film’s dramatic impact.